Anthony Arno successfully bicycled across America as a college student with the support of Calvin Klein while drawing attention towards the plight of cancer patients. After college Arno worked as a social worker with disabled adults. Arno began his teaching career in Brooklyn at P.S. 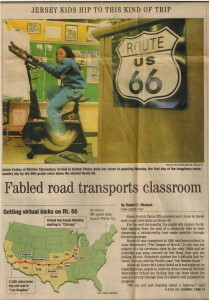 238 and has received many awards and grants, including presenting at the NJEA Conference, participating in an Earthwatch Sierra-Nevada study of the endangered spotted owl, NASA’s Space Camp, and visiting Japan as a Fulbright Memorial Fund recipient in 2003. 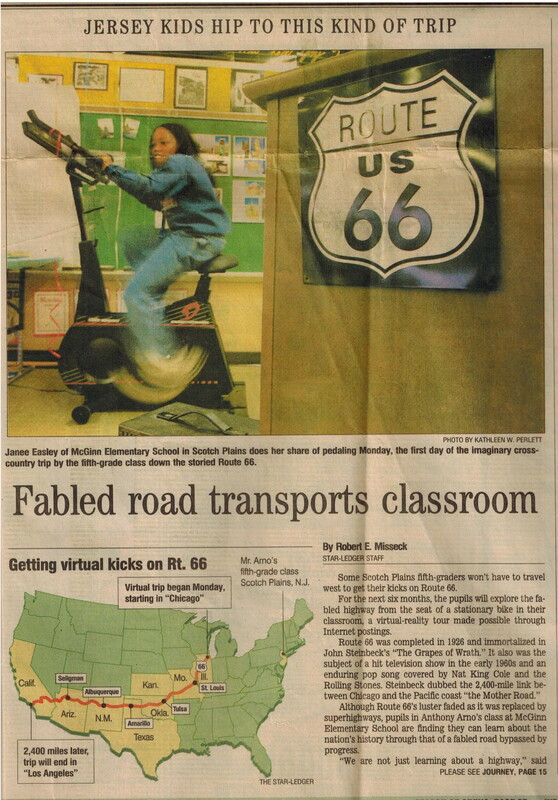 In the 1990’s Arno used the schools only computer connected to the Internet to learn about historic Route 66 while his students bicycled 2000 miles aboard an exercise bicycle in the back of the classroom. During the year long teaching journey students corresponded with people living and working along the famed highway, including Chicago Mayor Daley and the songwriter who wrote the famous tune for Nat King Cole in 1946. Arno presently teaches 5th grade in New Jersey and coaches the district Science Olympiad team. During the summer Arno has taught enrichment classes, including Soda Bottle Rockets, Microwave Cooking, History of Magic in America, and Forensics 101: The Lindbergh Trial.